Since I lasgt wrote we've been in La Paz, BCS attendinging Bay Fest, working on boat projects and enjoying a lot of good restaurants. Due to the later and my waist, we needed to get out of there. 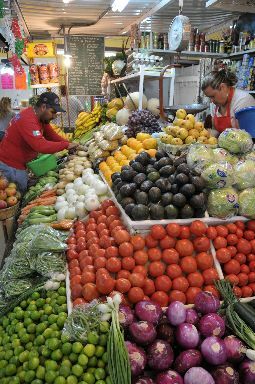 Otherwise, La Paz is a wonderful city to spend some time in. Once again we pulled into Marina Palmira, which has beautiful facilities. The primary reason that we came in when we did was to attend Bay Fest, which is festival put on by the local cruisers for other cruisers. The primary purpose is to raise funds for local charities, with the orphanage being at the top of that list. For a period of 5 days they have seminars covering all kinds of things, fun races/games and dinners/get-togethers. The Club Cruceros web site is a fantastic resource for cruisers and shows how they're trying to help. We attended a few of the seminars, of which the one on Bottlenose Dolphins and man's impact on them was the most interesting. It was given by a woman who did her masters and PhD dissertation on the subject. Unfortunately it appears that money wins over rules and regulations and she's got an uphill battle to restrict construction (even to enforce current laws), to limit the speeds at which local pangas (boats) speed through certain areas and to change certain behaviors such as allowing jet skies to go anywhere. It's a tough job, especially for a woman in Mexico, and unfortunately the standard answer seems to be "we need more studies" while allowing the current behavior to continue. Other than that, we worked on lots of boat projects. One of the most frustrating issues with doing boat projects outside of the USA is trying to obtain the parts that you need. 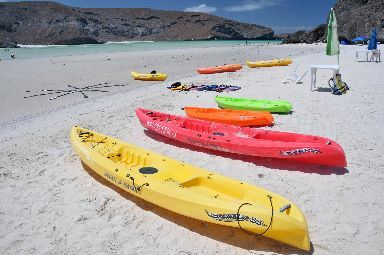 La Paz has a large number of boat stores plus all kinds of other stores (WalMart, Home Depot, Sam's, lots of hardware and grocery stores, etc) and we had a car, which was a huge help, but there are lots of things that you just can't get. For example, you can't obtain nylon plumbing fittings anywhere, yet if I was back in the US, I could walk into any hardware store and pick up the parts that I needed. Despite a huge nylon parts bag, I still spent the better part of a day looking for a few parts and then had to rely on another cruiser to fill in the part that I needed. We did lots of boat projects, but I'll only talk about 2 of the major ones that we did. First, I had a new antenna arch fabricated by a local stainless worker. It took them 2 times to get it right as the first time it wasn't square, but in the end it turned out pretty well. The old arch was too small for current radar dome and I wanted to move the radar of a gimbaled mount that dropped it too low and the boom interfered with the signal. (Sorry, but the image will be broken until I can upload it.) I also installed a whole boat water filter that was developed by NASA for the International Space Station to filter their water. It does a great job of retaining cysts, viruses and bacteria down to 0.2 microns. Here's a link to Nano Ceram website. We did manage to take a day off and enjoy the local beaches. There are a lot of beautiful beaches in the area and the locals flock to them on the weekends. We walked the beaches of Puerto Ballandra and then headed to Playa Pichilingue for a lunch of whole fried red snapper. Yum! We had only planned on staying a week, but we ended up spending 10 days. Out of all of the cities that we've spent time in within Mexico, La Paz has to be our favorite. It certainly has the best resources of anywhere on the Baja and there's a very well developed cruiser community. So if you're in the area, plan to spend some time here and discover what's available! 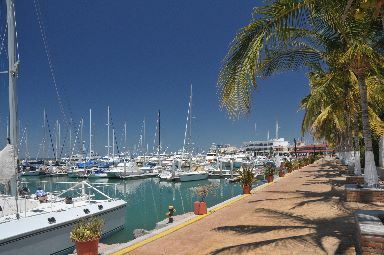 Dockage at Marina Palmira is $1/ft/day for less than 1 week and $0.50/ft/day for 1+ weeks. Doesn't take a rocket scientist to figure that one out...Diesel was $3.50/gallon (including their 12% markup). If you need bolts/screws that you can't find elsewhere, go to Tornillos & Birlos on Blvd Colosio #225 and Forjadores. The local equivalent of Radio Shack is named Steren. They have lots of electronic components. The one that we went to was on Forjadores #3920 & Col. Bellavista. I used Taller de Torno Casillas to do my stainless. They were OK, but I wouldn't recommend them for precision work of if you want pretty welds. My contact was Ernesto Casillas and his phone is 01-612-121-4365. Check back at the web site in a week or two for reviews on various restaurants.